Former Secretary of State claims both Israel and Egypt pushed the United States to bomb Iran before 2015 deal. Former U.S. Secretary of State John Kerry on Tuesday claimed that both Israel and Egypt pushed the United States to “bomb Iran” before the 2015 nuclear deal was struck. 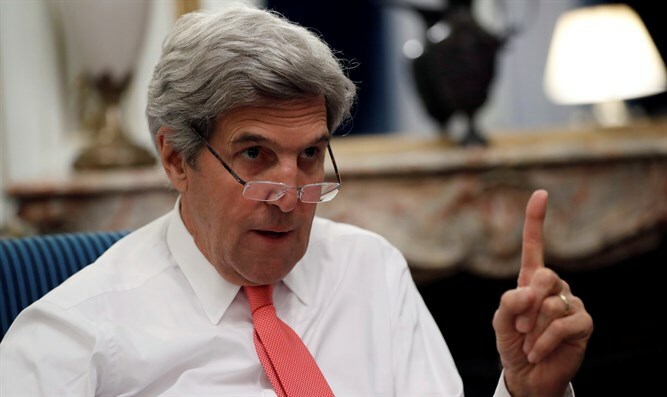 Kerry spoke at a forum in Washington in which he defended the deal and was quoted by The Associated Press. According to Kerry, kings and foreign presidents told the U.S. at the time that bombing was the only language Iran would understand. But, Kerry claimed, those comments were “a trap” in many ways because the same countries would have publicly criticized the U.S. if it bombed Iran. The former Secretary of State continues to defend the nuclear deal signed between Iran and six world powers when he was in office. Earlier this month, Kerry warned Congress that it would be "extraordinarily dangerous" for it to reject the 2015 Iran nuclear deal after President Donald Trump's decision to decertify Iran's compliance with it. He warned in late October that Trump risked driving Iran towards nuclear proliferation if he cancels the deal. Kerry claimed that the nuclear deal places Iran under tough restraints, including round-the-clock surveillance and tracking every ounce of uranium produced. “We would notice an uptick in their enrichment, like that,” he said, snapping his fingers. In his comments on Tuesday, Kerry admitted he doesn’t know whether Iran will resume pursuing a nuclear weapon in 10 to 15 years after restrictions in the deal sunset, but added it was the best deal the U.S. could get.